What Is a Complete Set of Flatware? They're brought out every day, at every meal - knives, forks, and spoons. Flatware sets consist of all the utensils needed to eat and serve a meal. Simple family meals require only a knife, fork and spoon, while the multiple courses of formal dinners need many specialty pieces. Whatever its design, material and style, a complete flatware set has enough cutlery for all the diners at a meal. Modern flatware sets have fewer pieces than traditional sets. Brides traditionally received canteens of cutlery for wedding gifts. These were boxes of expensive woods, such as mahogany, with velvet linings and compartments for each of the pieces of flatware they contained. These sets of flatware were often made of silver and usually contained pieces for eight people, or place settings. Modern flatware sets are usually made of stainless steel, though silver is still available. These sets have four place settings, though additional place settings and sometimes individual pieces are available. An everyday traditional flatware set contains six place settings, each with seven pieces of cutlery. 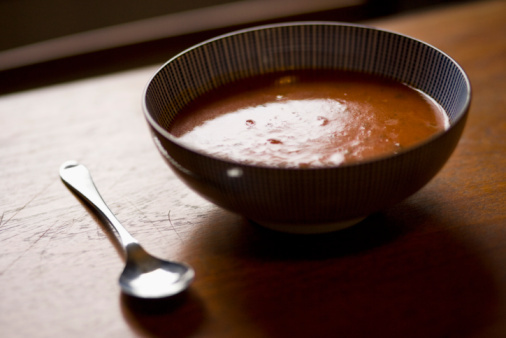 Diners use the soup spoon for soup and broth, the table knife and fork for the main course, and the dessert spoons, knives and forks for dessert, although the dessert knives and forks are also suitable for the salad course. The final piece is the teaspoon, used for any hot beverage served at the end of the meal. There are an additional three pieces of flatware for more formal occasions. Diners use the fish knife and fork fish for a seafood course, and the coffee spoon for coffee, leaving the teaspoon for use exclusively when drinking tea. All the knives, forks and spoons are a different size and shape related to the food served. Meals in contemporary life are less formal than traditional meals and usually have fewer courses and dinners, expect for special occasions. A modern flatware set has four place settings, each with just five cutlery pieces. The set includes a table knife and fork for the main course, a salad and dessert fork, a dessert spoon and a tea spoon. Most modern cutlery is made of stainless steel, which is easier to clean than silver and can go in the dishwasher. Traditional flatware sets include one or two serving spoons, and these are often sold as additions to the modern set. 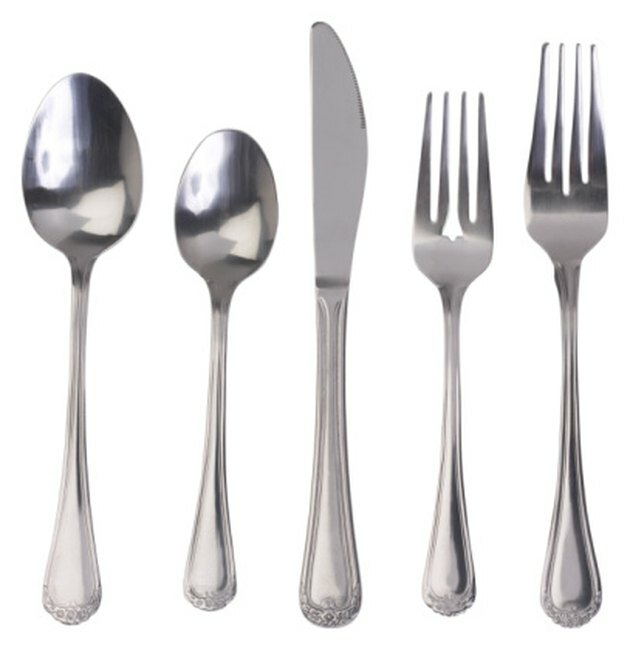 Other items of cutlery can be added to flatware sets, though they are not considered necessarily part of a complete set. There are butter knives for removing butter from a butter dish and butter spreaders for spreading the butter on the bread, along with a cheese knife. Specialty forks include meat forks, oyster forks and pastry forks. Serving utensils, such as fish servers, soup ladles, salad servers, pie and cake servers, sugar tongs and sauce spoons, are also additions to a basic flatware set.